Swipe left to trash the photo or swipe right to keep the photo. Zoom in on the photo by tapping on it. Undo feature if you do a mistake. The app features a intuitive interface that makes it easy to free up space on your iPhone. 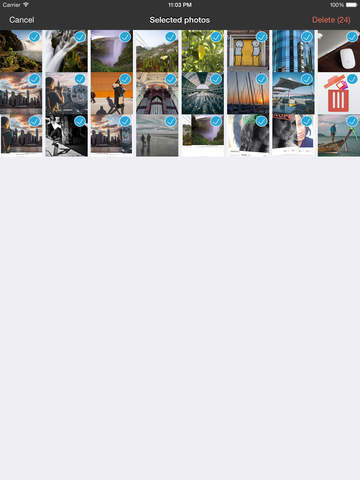 Clean up useless pictures stored locally and in the iCloud. Do you take a lot of selifes? Then you probably have many pictures in your camera roll that can be deleted. 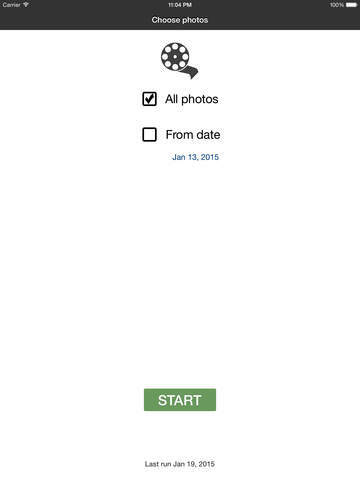 The application takes a familiar interface from Tinder for implementing a fast way of deleting no longer wanted photos. 1. First you choose photos to be evaulated. Either all or all photos from a given date til present. 2. Second you review the photos selected. Swipe left to delete and right to keep the photo. 3. Third, you confirm the deletion. Photos trashed mistakenly can be restored.